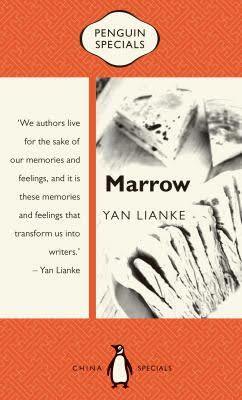 Another novella available in the Penguin China Specials series is Yan Lianke’s Marrow. 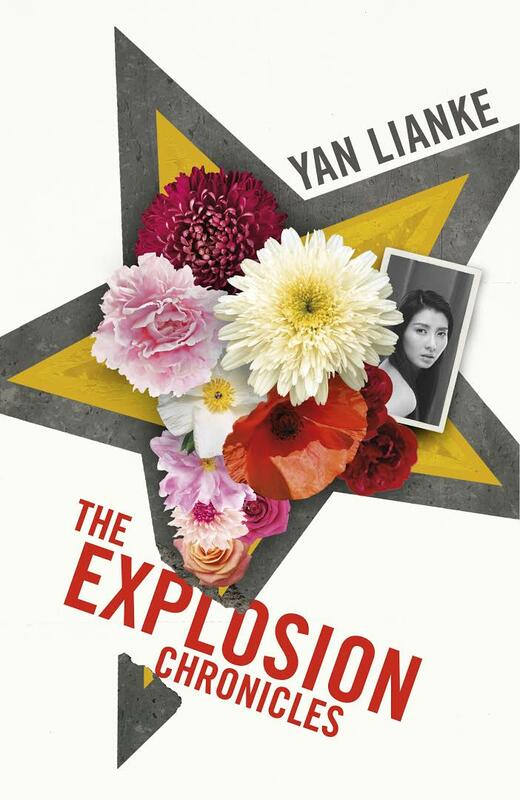 Yan is relatively well known in the West, particularly by those of us who read the long lists for translation prizes: Dream of Ding Village was shortlisted for the Independent Foreign Fiction Prize in 2012, and The Four Books and The Explosion Chronicles have featured on the two most recent Man Booker International Prize lists. (Anyone acquainted with those rather lengthy volumes may be surprised (or even relieved) to hear that Marrow, originally published in 1993, only just makes it past 100 pages). Eventually her search leads her to the widower Wu Shu. Despite the fact that he has no fruit trees or animals and only a “three-roomed thatched house that leaks when it rains” she offers him an impressive dowry, including half of her grain. Her obsession with finding a ‘wholer’ has blinded her to his many faults, but, as Yan makes clear, this is a result of the fears and prejudices within her society: at one point the villagers offer her money if she will avoid walking past the house of a woman who is giving birth in case she should affect the child. While it may not have the sweep of his political epics, Marrow demonstrates Yan’s interest in the ordinary life of the rural poor, his refusals to turn away from the worst of it, and his ability to perceive the best. Yan Lianke’s appearance on the Man Booker International Prize long list makes him the only writer to have a 100% record, The Four Books having made it onto both the official and the shadow jury’s shortlist last year. In 2012 his novel Dream of Ding Village was also shortlisted for the Independent Foreign Fiction Prize. This may, of course, lead to a different reaction from the official and shadow juries this year: it’s quite possible that the official jurors are reading Lianke for the first time; for the shadow jury it’s the second (lengthy) book in as many years, and The Explosions Chronicles (translated once again by Carlos Rojas) is stylistically very similar to The Four Books. When the novel begins, Explosion is a small village where two families – Kong and Zhu – struggle for power and influence. 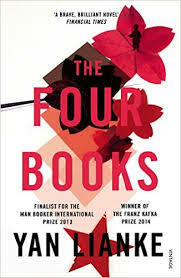 One night the four Kong sons separate at a crossroads in search of signs which will lead them to their destinies: Mingyao sees an army truck and soon after joins the army; Mingguang finds a piece of chalk and becomes a teacher. Meanwhile Mingliang becomes the first in the village to save ten thousand yuan (a government target) by stealing coal from trains as they slow on a steep hill. He declares to the mayor that “if he were village chief, he would ensure that at least half of the village’s 126 households would become ten-thousand-yuan households” and so displaces Zhu Quingfang. He then pays the villagers to spit on Quingfang until he drowns in spit. This, of course, will remind us of the magic realism of the 1960s, but there’s also something Shakespearian in Lianke’s use of nature to suggest a corrupt world, just as Mingliang’s rise to power also has Shakespearian echoes. At over four hundred pages, though, some readers may find its relentless focus on what is largely a single issue wearying. In the novel’s second half, without the Kong-Zhu feud, tension certainly weakens as Lianke turns to Mingyao to comment on China’s relationship with the West. The unnamed characters of The Four Books possessed more individuality than the named characters of The Explosion Chronicles, where Lianke seems to move closer to a process where he is content to sketch his story across the surface of his vast canvas. Having said that, in an international prize list, only this and Black Moses arguably lie anywhere outside the European tradition of the novel. Whether it is shortlisted may depend entirely on how fresh it feels to the judges. You are currently browsing the archives for the Yan Lianke category.